To be clear right away: this design is totally owned by Ryan Wickre of Fixed Design in San Francisco. I only played a bit part in getting the design from idea to realization. 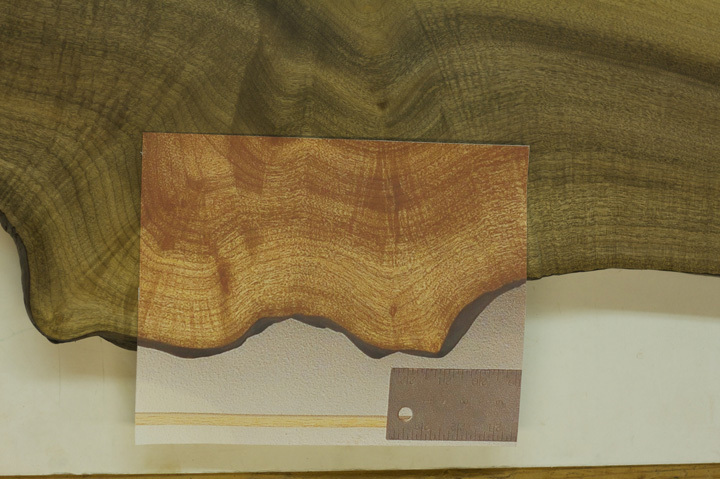 The story goes more or less like this: Ryan acquired a magnificent slab of Oregon Myrtle with a gorgeous grain that would lend itself well to being “bookmatched”, or split into two and then joined along an axis to create a sort of mirrored effect. 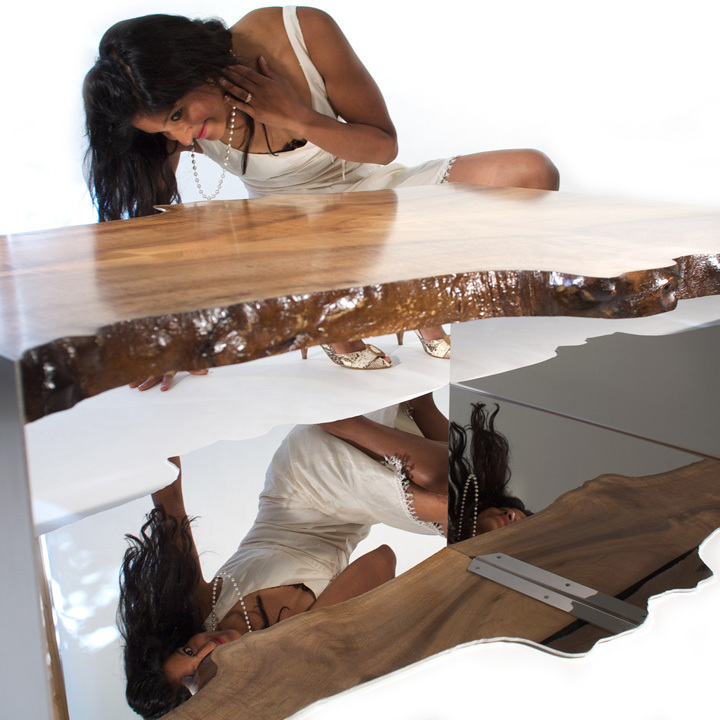 he decided to make this into a table whose base would match the exact profile of the irregular slab. Ryan contacted me when he sought a way to create a precise measured drawing of the slab’s irregular shape that would control or guide the cutting of the steel slab that would lie under the table. We brainstormed over this idea a bit and decided to give a try for me to create these drawings using photogrammetry based on shots taken with his camera gear (budget did not allow for flying me and my gear to California). If the results were not close enough, we’d try another method. So I describe how I wanted Ryan to shoot the photos and he sent them to me; meanwhile I obtained the nominal specs for his gear and set up some parameters for photogrammetric analysis. The results from my end looked really good (statistically). The test would come once Ryan compared a full size print to the real thing. All photos by (c)2011 Ryan Wickre, used with permission.